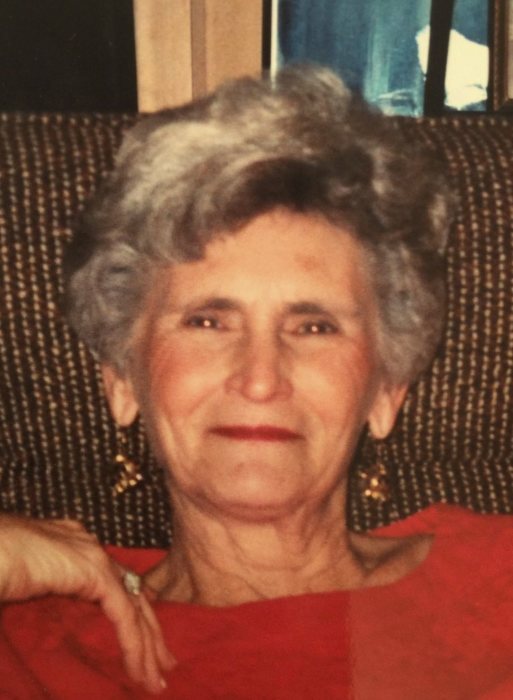 Bobbie Gene Corley passed away peacefully in her sleep on April 5, 2019, at Shearer Richardson Nursing Home in Okolona. Services celebrating her life will be 2 p.m. Today, Sunday, April 7, 2019 at Boones Chapel United Methodist Church, Okolona, with burial to follow at the church cemetery. Her great-grandson, Pastor Daniel Wagner, will officiate. Visitation will from 1 PM-service time today at Boone’s Chapel UMC. Holland Funeral Directors, Okolona Chapel is honored to be serving their friends. Bobbie was born on November 19, 1928, the only child of Eugene McCormick and Christine Winters McCormick. She spent her early years in Algoma, surrounded by her aunts, uncles, and cousins. When she was sixteen, she moved to Pascagoula with her father, a time she recalled as some of the happiest of her youth. As a young adult, Bobbie moved back home, where she met her life partner and husband, Robert Corley, to whom she was married 54 years. They made their home in Okolona, where they raised their daughter, Susan, and spent wonderful times with their friends and family. She owned and operated a country store on Highway 41. After the store closed, she spent many years as the manager of the Okolona Country Club, a job she joked that she took so she could spend time with her husband, an avid golfer. After retirement, she cared for her mother, Christine, who preceded her in death. She was blessed to have so many friends and family in Okolona, where she attended New Hope United Methodist Church and later, Boones Chapel United Methodist Church. After the death of her husband in 2009, she moved to Madison to be close to her daughter and granddaughter, and resided in Sunnybrook Retirement Estates, where she spent ten wonderful years making new friends, with whom she enjoyed shopping, dining, listening to music, and playing bingo. Bobbie is survived by her daughter, Susan Stewart; granddaughter, Natalie Mahaffey (Kevin), and her great grandsons, Daniel Wagner (Karleigh) and Matthew Wagner; all of Madison and Jackson; brother in laws, Willie Corley (Jeanne), Douglas Corley (Carlene) and Rev. Kenneth Corley (Glenda), sister in laws, Martha Cole (Stewart) and Lottie Corley; and a host of nieces and nephews.